It’s understood that drug addiction is an epidemic destroying lives every day. If you or a loved one are ready to live a life free of the shackles of substance abuse, then His House | New Creation recovery programs are your answer. We take pride in offering top quality individualized treatment by maintaining a low-census admittance in to our facilities. This allows the addiction expertise of our staff to really shine through and fine-tune personalized, one-on-one care and understanding for each of our client’s unique needs and circumstances. Our company philosophy on exclusivity and the relationship that we’ll develop with you is the backbone and strength of how our programs achieve successful recovery stories. The benign nature of this academic definition tells the reader what a drug is, but in the context of drug addiction and substance abuse, the more appropriate discussion is what the drugs do. This is a collection of discussions that revolve around the different drugs that are available via both legal and illegal channels. The Stuff in My Body: How Bad Is It? In a gang of misfits, marijuana would be considered in today’s society to be the “goodie-two-shoes” of the group. With every passing day, “weed” slips further and further down on the list of dangerous substances to try. Medical science seems to come across steadily increasing amounts of data that indicate medical benefits of prescribed marijuana use, but the somewhat less dangerous consequences of misuse are not to be mistaken for a “safe” drug. States across America have legalized use of pot for medical purposes and some states like Colorado and Washington are deregulating the substance all together. If the government says it’s ok, then what’s the problem? Many businesses accept the increasing legalization of marijuana and still have no interest in hiring those with THC (TetraHydraCannibinol – the substance that causes the high) in their system. A user of marijuana could fail a drug test over 30 days after his last use. In America’s “War on Drugs” marijuana had the dubious distinction as the “gateway drug”. This term suggests that use of marijuana exposes the user to the idea of getting high and causes curiosity about what other kinds of drugs are available. A user may try to make the case that it’s just about “expanding your mind” or “enhancing your consciousness”. But continued use and overuse is dangerous. There is no shortage of horror stories about users being poisoned ingesting something they thought was their favorite drug. Users who are lucky enough to escape death are still at risk of altering their consciousness permanently or causing brain damage. The United States got a wakeup call in the early 1980’s with the popularity and subsequent mass distribution of cocaine. In a very short time, the substance made from the coca leaf was everywhere in our society. Its presence at every level was romanticized and openly promoted by many in the public eye from movie stars to politicians. America was in a toxic love affair. Just over 30 years later, this deadly love affair rages on with other uppers like methamphetamine. Also known as “crystal” or “chris”, meth wastes no time taking over the life of its user. This dangerous and affordable substance is made from poisonous chemicals, usually in the home, by amateur chemists in a deadly push to move as much product as possible. Ingestion of meth can be done by snorting powder, inhaling its smoke, or injection. The user enjoys an intense euphoria and unnaturally heightened levels of focus that can also be found in meth’s legal prescription siblings: Ritalin and Adderall (prescribed for ADHD patients). The most recent and most rapidly growing trend in the United States today is the increasing overuse of prescription painkillers. It’s well known that heroin, having made its big boom just after the Vietnam war in the 1970’s, takes its fair share of American lives every year. But, at least Americans know that the heroin on the streets is illegal. Prescription pain killers are easy to get for those who have health insurance. Assuming the patient fills the prescription because he or she is hooked may be assuming too much. The financial motivation to resell the pills in the bottle on the street is sometimes very high. The street value of Oxycontin, for instance, was 1 dollar per milligram in 2013. The average co-pay for a bottle of “OC” was 15 dollars. The average pill was 20 milligrams at 60 pills per bottle: 1200 milligrams total. This makes the profit in one bottle $1,185.00 on the street. The legal status of these drugs tends to conceal their dangerous effects that range from gastrointestinal complications and liver disease to mental illness, amnesia, and even death. 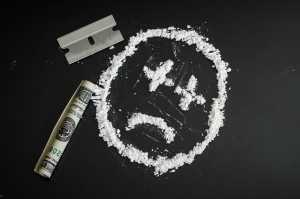 The addictive properties of these substances are ruthless and, much like the “uppers” and “downers” noted above, getting out from under this addiction is very difficult without the help of knowledgeable and experienced medical professionals. At His and Her House we are these professionals. You are here because you or a family member needs this kind of help. Detox from substances like these can be dangerous if attempted alone. Call our Admissions Team for your free consultation any time, 24 hours a day.